Throughout my life I have started to become more of an opportunistic buyer. I didn’t used to always be this way though. Why not just buy right away if you need it? I used to just go out and get something right away if I needed it. I figured if I needed something, why waste much time doing a bunch of research before buying it? Or why not just go out and get it if I need it? That works in many cases. For example, if I need some toothpaste, I might as well just go buy it right away. I can price shop at the store. I know that I’ll be able to find it in many different stores. But then there is the opportunistic side of me. When it comes to items with a heavier price tag, I tend to wait a bit and try to be opportunistic before I spend a good amount of money on something that I very well could find for much cheaper. Those types of things, I’ve found, can be had for cheap if you know where to dig around. A few months ago I decided I wanted a recliner. I had looked around and found that if I wanted a comfortable recliner I was going to need to spend several hundred dollars, maybe even close to a thousand for a really nice one. 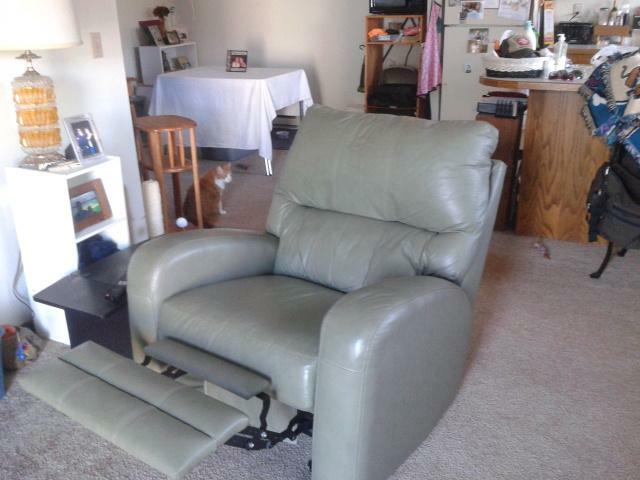 I didn’t want to spend that much, but I really wanted a recliner. I started to take a couple hours here or there on weekends to browse some pawn shops and consignment stores. I eventually found a very nice, big comfortable recliner for about $200. It was in really nice shape, and it was even a color that I liked. It was a great opportunity to get the recliner I wanted and I was going to save myself several hundred dollars just because I waited it out for a few weeks and looked around a bit. I do this a lot with stuff like music gear (I’m a drummer) and computers as well. Somebody will always put something on sale somewhere, and if you’re in the right place at the right time you can score an awesome deal. So, that is the way I shop for big stuff. It saves me a lot of money. I have to be patient when I decide I want something, but hey it works for me. I look around my apartment right now and I’m seeing a ton of stuff that I didn’t really pay much money for at all, but it looks like I spent a lot of money to furnish the place. That’s a pretty good feeling, and my wallet is thicker as a result as well.